What an adorable companion for your little one! 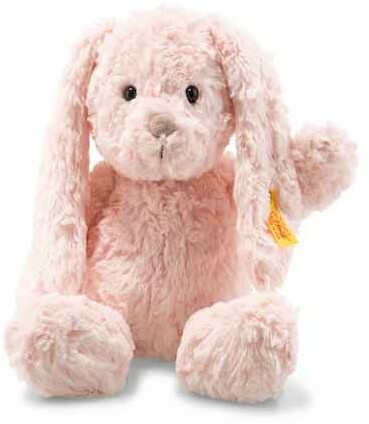 She is made from silky soft, pink plush fur, with long ears, which are perfect for small hands to hold onto and beans in her bottom, so she can sit comfortably. She has dark twinkling safety eyes and a sweet beige nose, with embroidered detailing. Will she be hopping to your home?